(10) Modern Medicine says retinal cells are modified cells of central nervous systemand these cells do not divide after birth. This simply means that if any cell dies, it cannot be replaced as other body tissues are replaced.So is it not totally unscientific when you claim that regeneration of these cells occurs? It is an old concept that retinal cells do not regenerate.In fact,modern medicine itself recently proved that, under special circumstances, these cells divide and regenerate. If regeneration was not possible, how could there be any changes in Fundus photos and other investigations of such patients? 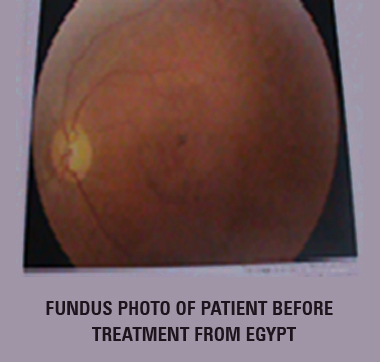 Infact whenever a patient comes to me, many cells in the retina are in the various stages of degeneration. Some of these are easy to revive while some take more time and some do not respond.In 90%of the cases, we get an idea just after first sitting how patient will respond further.